We liked the Nokia 6.1 and now that the Nokia 7.1 has a dual-camera, bokeh effects and a better screen, we like the Nokia 7.1 even more. The budget-friendly smartphone market doesn't show any sign of slowing down with several brands regularly introducing new devices and one such, well-known, brand is Nokia. 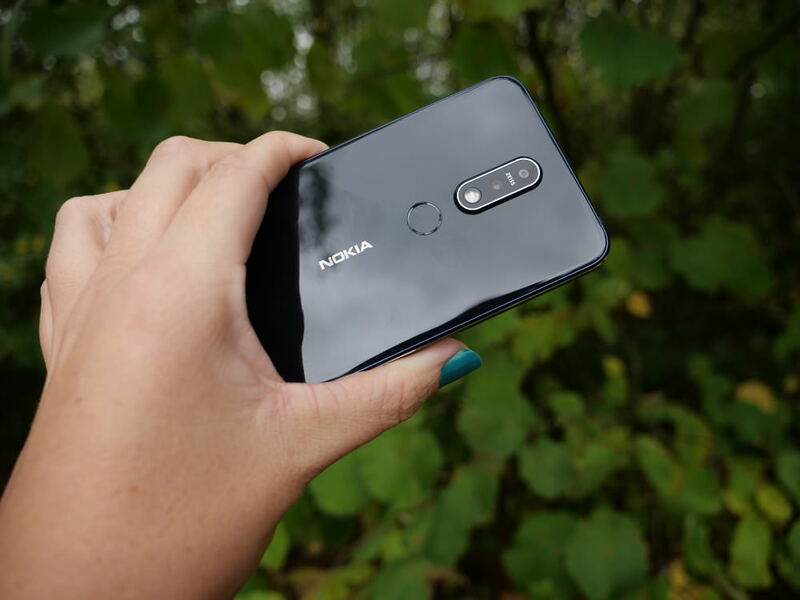 A week or so ago, at a big event in London, Nokia introduced the 7.1 (referred to as simply 7, you don't need to mention the .1) and with it comes features such as ZEISS optics, dual-camera, large IPS display and a premium looking design all for under £300. Among the Nokia 7.1's standout features is the 5.84-inch, 1080x2280, IPS display that will convert SDR video into HDR in real time. Nokia is calling the new screen 'PureDisplay' and for the £299 asking price, it's a pretty decent screen. This latest Nokia smartphone also follows in the footsteps of previous Nokia models by being an ‘Android One’ approved & recommended smartphone. As for the cameras, the Nokia 7.1 features a dual-camera rear set-up with a 12MP, f/1.8 main lens and a 5MP, f/2.4 secondary lens which is used to create bokeh-style backgrounds in your images. Previously, this feature was reserved for Nokia's more premium smartphones such as the Nokia 7 Plus and Nokia 8 Sirocco so it's good to see this feature built into a less expensive smartphone. The camera built into the front notch, a feature we didn't see on the Nokia 6.1 smartphone, is an 8MP f/2.0 lens. 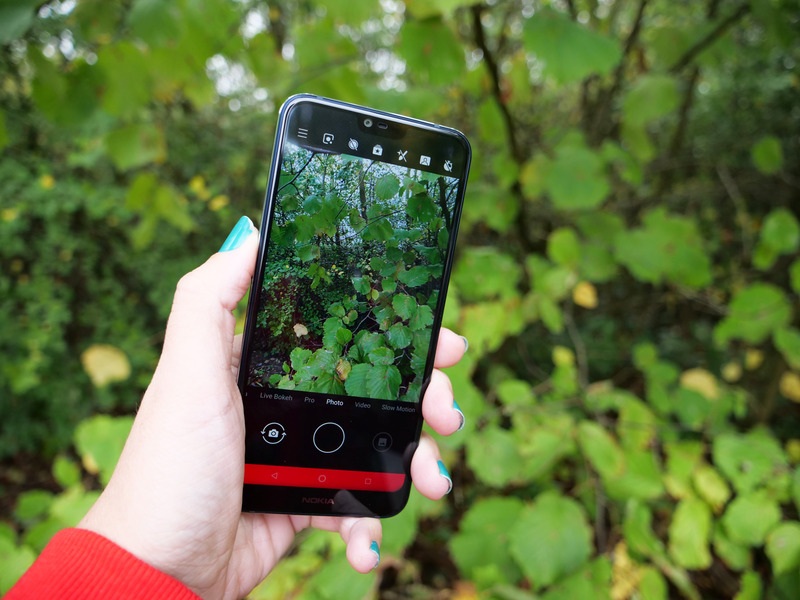 Modes built in include a Pro mode, Live Bokeh, Panorama, Square and the Nokia only feature - Bothies (so you can take an image with the front and rear cameras at the same time). There are several other features built into the camera app which we'll discuss in the handling section. 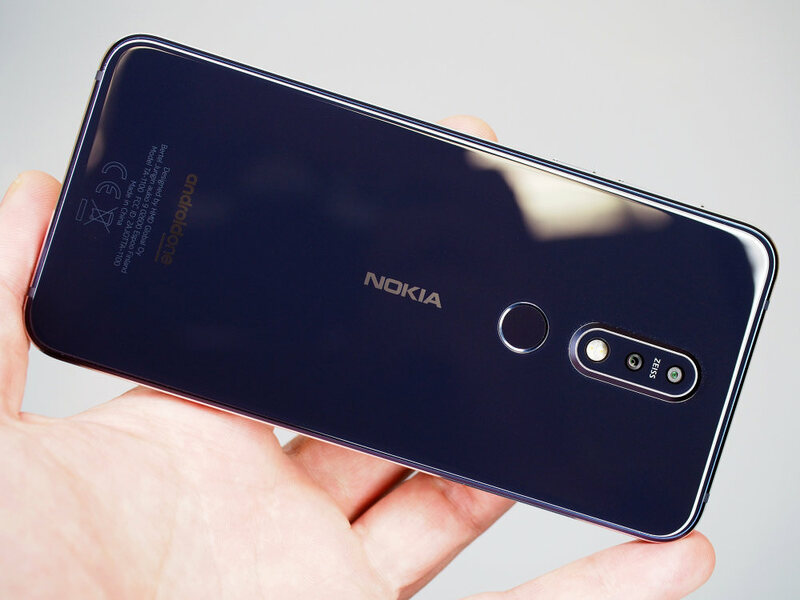 When it comes to video, the Nokia 7.1 can capture in 4K (a bonus for such a budget-friendly smartphone) as well as 1080p (FHD) and 720p (HD).The front-facing camera will shoot video in 1080p, 720p and480p (SD). Where some of the money-saving options come in is with the 3060mAh battery (a slight improvement on the Nokia 6.1), Snapdragon 636 chip and 3GB/4GB RAM (which comes with 32GB or 64GB of storage, respectively). You can, however, expand this with a MicroSD card and as you'd expect from a smart device, the phone has Bluetooth, Wi-Fi and NFC connectivity. 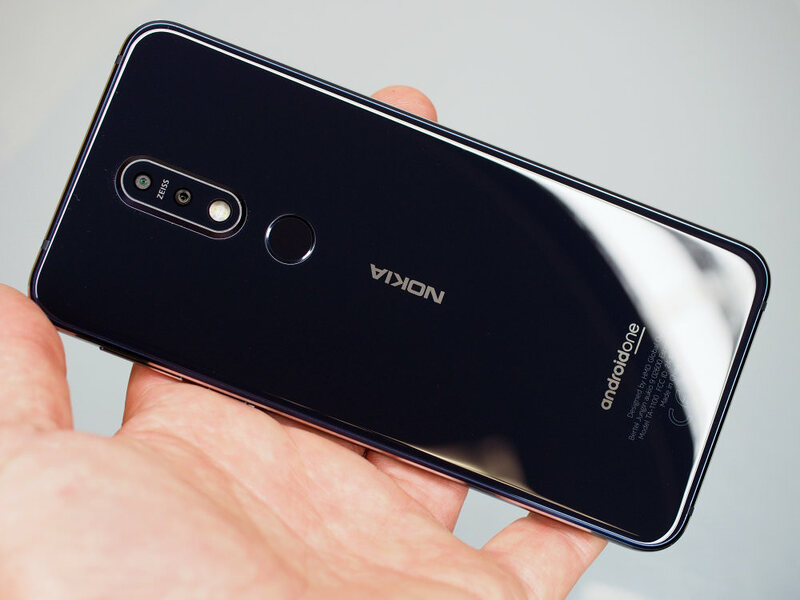 The Nokia 7.1 isn't waterproof, this tends to be a premium feature, but there is a headphone jack for those who don't own or like to use wireless headphones and a fast charge USB-C connection can be found towards the bottom on the smartphone - something that gives the Nokia 7.1 an extra tick as the similarly priced Honor 8X, which was announced around the same time, still uses MicroUSB. Among the Nokia 7.1's standout features is the 5.84-inch, 1080x2280, IPS display that will convert SDR video into HDR in real time. Nokia is calling the new screen 'PureDisplay' and for the £299 asking price, it's a pretty decent screen. With the Nokia 6.1, Nokia's catch-line was 'a phone you can rely on' whereas with the Nokia 7.1 it's 'stand out and tell your story' putting much more emphasis on the now dual-camera that's built into the device. More on that later but for now, let's look at the overall design of the Nokia 7.1 which is actually very sleek and looks much more premium than the price would lead you to believe. It doesn't feel as weighty as the more premium phones do but that's not to say it feels cheap as it does feel really well built and solid when in the hand. The Full HD+ 5.84-inch PureDisplay screen with a 19:9 ratio now, almost, goes edge-to-edge with just a small chin at the bottom displaying the smartphone's branding and 85% of the smartphone is constructed from glass which makes it look great but also very slippery. We often found the smartphone sliding along surfaces which aren't quite flat so fitting it with a protective case is recommended. The aluminium sides do give it a bit more grip and the almost borderless design means it fits well in the hand so shouldn't easily fall but it's better to be safe than sorry. Gorilla Glass 3 can be found on the front but there's no suggestion on what the back is constructed of but whatever the glass, it's very prone to fingerprints. Images look great on the Full HD screen with its wide colour gamut display which is also ambient light aware so it's visible in sunlight. As for resolution, so long as you don't compare it to the more expensive iPhones and Samsung Galaxy S9 side-by-side, you won't see any problems. In fact, the 1080x2280 resolution is on-par with other new budget-friendly smartphones, such as the Honor 8X, which is a positive. On the back of the Nokia 7.1 is the dual-camera unit and flash, which sit together centre-top (along with the ZEISS logo to let you know good quality optics are built-in) and below this is the fingerprint sensor you use to unlock the phone (you can use a numeric code if you prefer) which, thanks to the way you naturally hold a smartphone, can easily be unlocked with the finger next to your thumb. To the side of the Nokia 7.1 are the power and volume controls (in the usual location) and to the bottom, you'll find the USB-C along with the speaker. 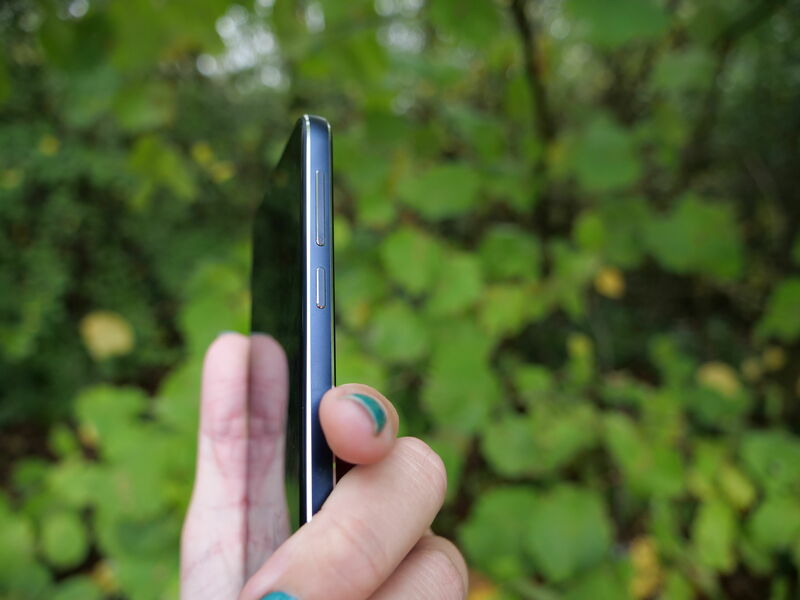 On top is a headphone socket and also towards the top of the smartphone is where you'll find the selfie camera positioned in the notch cut into the screen. When testing the Nokia 6.1 we said the camera app, while performing OK, was a bit clunky in places but Nokia seems to have worked on improving this with one noticeable thing being the positioning of the selfie switch which has now been moved to a better position. Quick access modes are shown across the top (in portrait mode) and stacked to the left when holding the phone horizontally. The modes include face smoothing, self-timer, flash and an option for switching between single, dual and P-I-P (combined front/rear shots). Next to these, is a drop-down menu which is home to several settings. There used to be an HDR mode but this is now permanently switched on and you have to access the settings menu to switch it off. There also used to be a video button but this has been added to the shooting options along with Square, Panorama, Live Bokeh, Slow Motion and Time Lapse to make room for the selfie switch. Pro mode can also be accessed by pressing and sliding the shutter button which curves the manual settings into view. When using Pro mode, you can adjust the white balance, set the ISO, pick a shutter speed, use manual focus or set the exposure compensation. 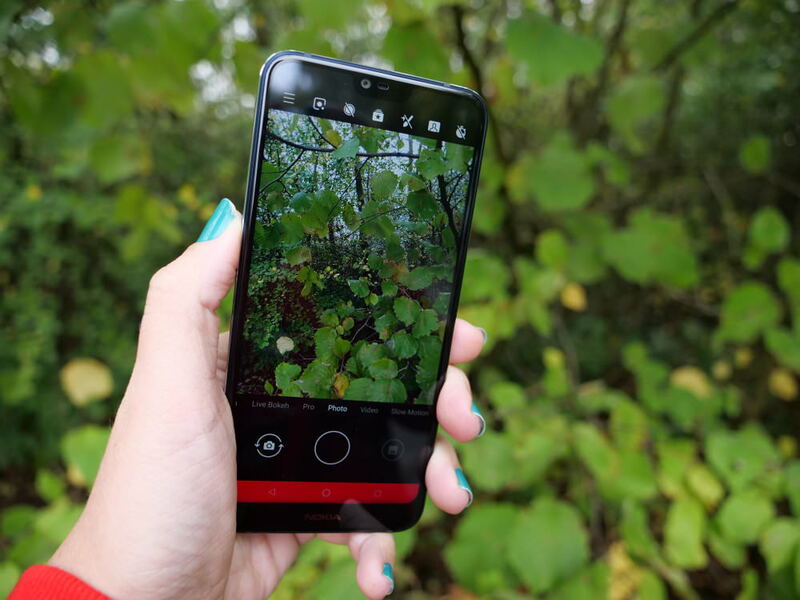 The Pro mode is a brilliant feature to see on a budget smartphone as some premium smartphones, such as the iPhone XS, STILL don't offer this. The dual rear camera built into the Nokia 7.1 uses depth-sensing technology to create bokeh in images - a feature that was once only available in more premium smartphones but it's slowly creeping into less expensive devices. However, the second cameras often have fewer megapixels so they're not always the best at depth mapping but the Nokia 7.1 performed well when we used it (with only the occasional blip). 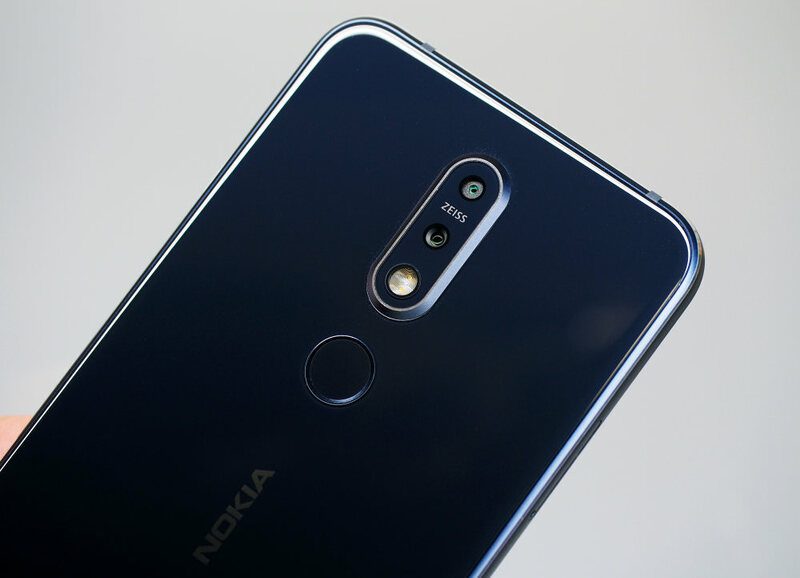 Along with the 5MP, f/2.4 lens (for depth mapping) there is a 12MP, f/1.8 lens and on the front is an 8MP, f/2.0 lens (the same as what can be found in the Nokia 6.1). Both cameras feature ZEISS optics - a brand that's well known for making premium lenses. A digital 'pinch and zoom' function is built in but we'd recommend not using it where at all possible as, with all digital zooms, quality isn't that great. There are no 'live' digital filters but you can add them after capture and as it's an Android smartphone, you can easily access Google Photos which gives you tonnes of storage space. The phone is powered by the Qualcomm Snapdragon 636 mobile platform as well as 3/4GB of RAM depending on what memory size you opt for and when you combine this with the 3060mAh battery, performance is nothing to be shunned. The Nokia 7.1 also features Android One for those looking for a 'pure Android' experience. For those of you who like numbers, using Geekbench, the Nokia 7.1 scored 1337/4877 (single core/multi-core) and the AnTuTu benchmark of 115988. Battery life - The 3060mAh battery is slightly bigger than the 3000mAh battery built into the Nokia 6.1 but it's not the biggest you'll see built into a smartphone. Still, it should keep the Nokia 7.1 alive for a day's use (we had no issues with power when out taking photos/video for an afternoon).